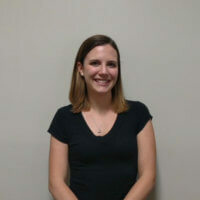 Tenille is a staff physical therapist at the Wexford office. She received her Doctorate of Physical Therapy from Slippery Rock University in 2014. She also received her Bachelor’s degree from SRU in exercise science. Since graduation, she has worked in multiple outpatient facilities treating orthopedic and sports injuries. She received her OCS certification in July of 2017. She has a special interest in treating postural dysfunction and injuries to the hip and shoulder.